Equipping your fleet company with state-of-the-art GPS tracking technology is an addition to your service that is definitely worth talking about. Today, millions of web users spread the word about businesses and services through social media. Facebook, LinkedIn, Twitter,YouTube: these are social media platforms that you may have not considered as advantageous to your fleet marketing needs. Think again. So when you have an update to share-such as offering customers real-time location updates for transport vehicles or cargo shipments-take it to your official business social media pages. No need to go on a social media shopping spree and sign up for dozens of accounts that will eventually be neglected in the chaos of it all. Chat with your customers, and do some target audience research to discover which platforms they frequent. Check in with your competitors to see where they concentrate their social media efforts. You won’t need the whole suite. If your customers aren’t on Twitter, don’t focus on Twitter. Go where your customers are waiting. Once you feel sure-footed about where your customers are chatting online, sign up for personal accounts on those platforms. Learn how to change the profile interfaces and use the account functions. Get a feel for the style of communication. 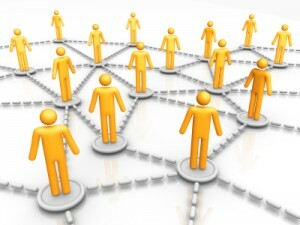 Connect with colleagues and customers. You will have more confidence for when you implement social media for your fleet company needs. For fleet companies to grow and maintain an online brand presence and reputation through social media, consistent communication is key. For instance, Twitter involves 140-character length updates. Your should expect to ‘tweet’ an update twice a week (at minimum), to improve traffic to your website. And should any conversations come to your fleet company on Twitter-perhaps a customer inquiry or suggestion-you should be prepared to answer promptly. Consistency also necessitates a memorable, committed “voice” across the platforms. So if you have a fleet management intern operating your Twitter account, much sure the tone of every update is consistent. Give your customers a valuable reason to visit your Facebook Page or YouTube channel, and they will be more likely to spread the word about your fleet company with enthusiasm. Share and create content that is useful and fun. You can even publish mileage and alert reports to show off impressive fuel savings for the month! Consider what your customers might be interested to know about your industry or service, and deliver on this with engaging content through social media. Social media provides an informal, easy-to-use communication channel for building a community around your employees, and emphasizing important safety and security messages. In next week’s article, we’ll dig into fleet company branding through employee engagement. As FleetOwner.com contributor Brian Straight says, a fleet company’s branding effort through social media “is only as strong as the overall attitudes of the company’s employees.” Leverage your employee’s share of marketing power in the social media sphere! We’ll show you how. In the meantime, check out our Facebook and Twitter pages. We “Like” friends! Straight, Brian. “Leveraging #socialmedia-one #hashtag at a time.” 31 July 2012. FleetOwner.com.